Since our Grand Opening in 2001, many people have been "Wowed!" by the wonderful, colorful, fine art photographic prints of our phot ographers, repeating what has become the Sun to Moon Gallery visitors mantra; "Wow! Ive never seen photography like this before!" We have placed fabulous prints in many happy homes and businesses. Thanks to the tremendous support we've received, we recently celebrated our 17th anniversary! Visit our What's New page for the latest gallery updates and events. PLEASE NOTE that we no longer have a public showroom but are happy to make arrangements to deliver prints directly to you. 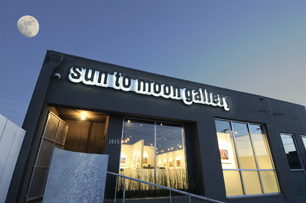 Sun to Moon Gallery has been providing finely crafted photographic prints to businesses and residences since 2001. 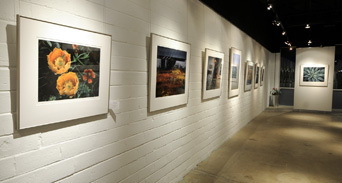 The Gallery currently represents twelve outstanding fine art photographers who utilize a variety of styles and techniques to craft their exquisite prints. We specialize in contemporary American photographers who are very involved in the creative process from beginning to end. They all have unique eyes in creating their photographs, are hands-on in painstakingly preparing their images for printing and, finally, printing, signing the prints and preparing them for display. For more information on the photographers we represent, visit our Photographers' Bio's Page. Sun to Moon Gallery can provide prints, from miniature to wall-mural size, in small or large quantities. Sun to Moon Gallery recently produced and installed a very large commissioned piece in the new Biomedical Research Facility, on floor 14, at the University of Texas Southwestern in Dallas. This piece consists of three coordinating photographs, each 5 by 7 feet, stacked one above the other on a 26-foot wall in a two-story atrium. Gallery director Marilyn Miller is responsible for coordinating shows, booking appointments for private showings and scheduling events.She invites you to make an appointment to see your color swatches with our fine art and find a beautiful print that's just right for your decor. Our photograpers' works are held in collections around the world. 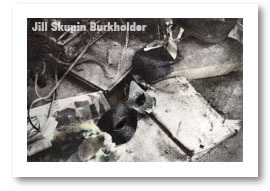 We have a wide variety of fine prints in stock and welcome working with private and corportate art collectors.